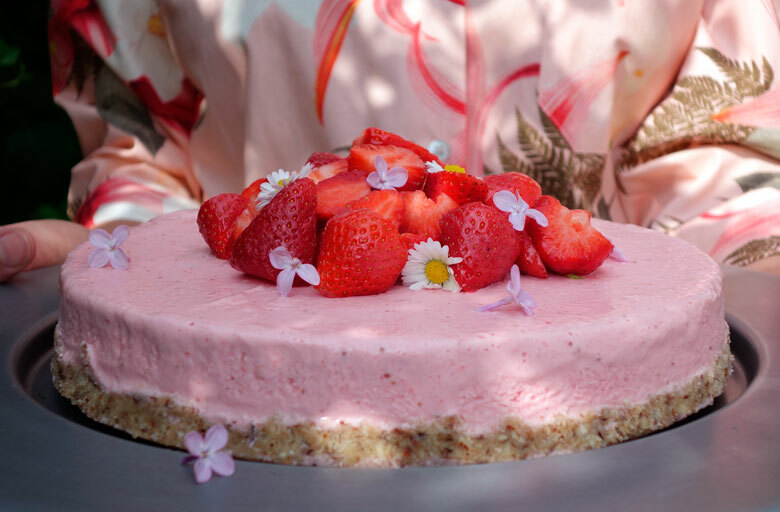 These days we are longing back to the wonderful weather we had in May and June, and to the day we made this tasty frozen strawberry cheesecake. 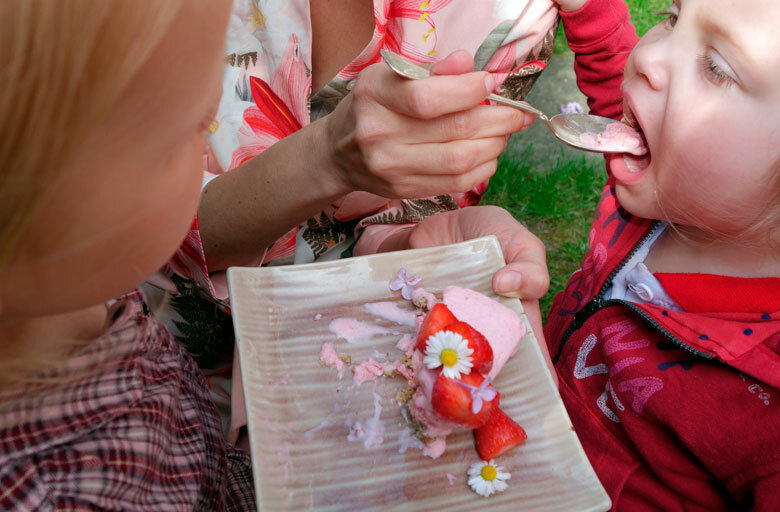 It was inspired by Green Kitchen Stories‘ delicious “Frozen pink cheesecake“, but we altered it a little bit as the strawberry season had just kicked in and we just craved the little sweet berries. This cake is mouthwatering and the best part is that there is no sugar, butter or flour added! Everybody absolutely loved it and the smallest queued up to have a bite. Grind the whole almonds in a blender or a food processor for about a minute. Then add almond flour, dates, coconut oil and salt and run the processor until it all comes together. Flatten it out on the bottom of an 8-inch non-stick spring form. Store in the fridge while you make the filling. Blend the strawberries, lemon juice and honey. Stir together the mascarpone, curd and the blended strawberries in a large bowl. Pour it on top of the crust in the spring pan and put it in the freezer for 1-2 hours. Decorate the cake with fresh fruit and edible flowers. Serve immediately. 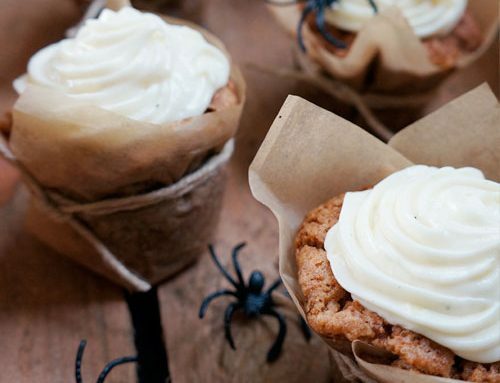 Need an easy dessert for future guests? You can also keep the cake in the freezer for days, but then you just have to let it soften a bit before you serve it.